Kalamazoo, MI: On January 20th, investigators from the Kalamazoo Valley Enforcement Team, Community Policing Unit and officers from the Kalamazoo Metro SWAT Team executed a search warrant in the 600 block of Ada St. This warrant was in response to countless citizen complaints of drug trafficking and violence occurring at that residence. KVET investigators learned that up to 5 different narcotics traffickers were involved with distributing crack cocaine from that residence. While officers were approaching the front door of the residence, four suspects attempted to flee through the back door. Fortunately, officers were already waiting at the back door and quickly took them into custody. An additional 6 suspects were located inside the residence by the SWAT team. Upon entering the residence, officers noticed that there was very little furniture or food in the residence. This house was strictly used for the distribution and use of narcotics. During a search of the residence, investigators located over 40 grams of crack cocaine, a large amount of marijuana, several types of ammunition, items used in the manufacturing and packaging of crack cocaine, and a large amount of US currency. Due to the evidence located, a 25 year old male was arrested for Delivery and Manufacturing of Crack Cocaine, Felon in Possession of Ammunition and Maintaining a Drug House. 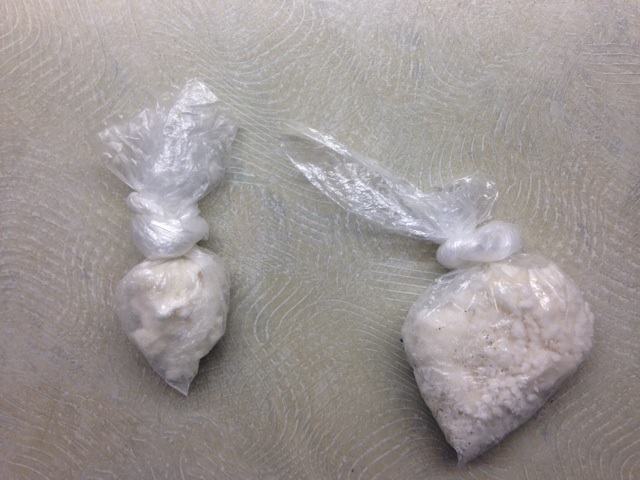 A 20 year old male was arrested for Delivery and Manufacturing of Crack Cocaine, Resisting Arrest and Frequenting a Drug House. A 22 year old male was also arrested for Delivery and Manufacturing of Crack Cocaine, Resisting Arrest, and Frequenting a Drug House. Additionally two other subjects were arrested for outstanding warrants. A 15 year old suspect was also found to be reported as a missing person /runaway and turned over to the Department of Human Services. All suspects are Kalamazoo residents and were lodged at the Kalamazoo County Jail. All charges were forwarded to the Kalamazoo County Prosecutors Office for review. The City of Kalamazoo Housing Department was also contacted in reference to the hazardous conditions inside the residence. Officers spoke with several citizens in the area whom expressed their gratitude for shutting down this drug establishment. KVET investigators will continue to address drug activity in the area and will continue to search for additional suspects related to this incident.